This is the kind of dog collar that turns heads. 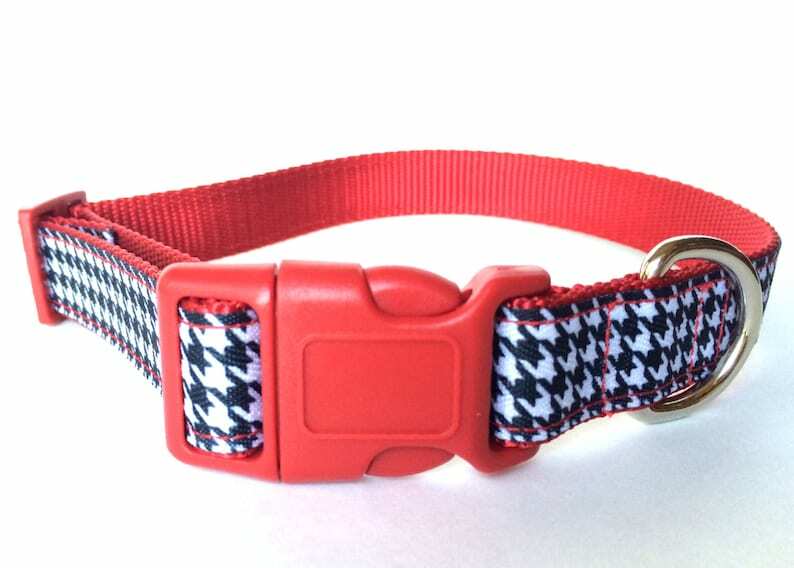 Guys and gals alike will love the striking red twist to the classic black and white houndstooth design. It is made with a 7/8" black and white grosgrain ribbon that is attached to 1 inch red heavy-duty nylon webbing using interfacing and high-quality thread (triple sewn on pull-points). The hardware is plastic (a contoured, quick-release buckle and slip-lock) and a welded nickle D-ring.